I got this for my birthday from a very dear friend and I've worn it to work twice now and my friends at work just loved it! And so do I. This necklace is such a striking collection of beautiful chips in a necklace . The only reason I gave it 4 stars was because the necklace is very, very heavy around my throat ! It is the most beautiful authentic chipped stone of any kind , that I have ever bought. 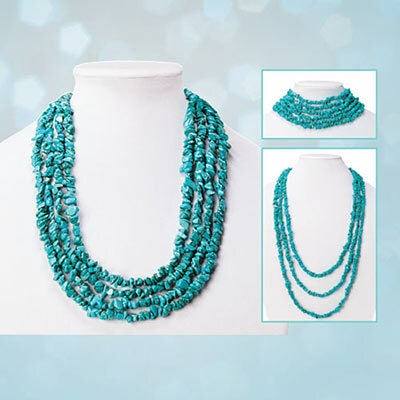 This will go with so many outfits and can be worn so many different ways, a winner for sure summer or winter.